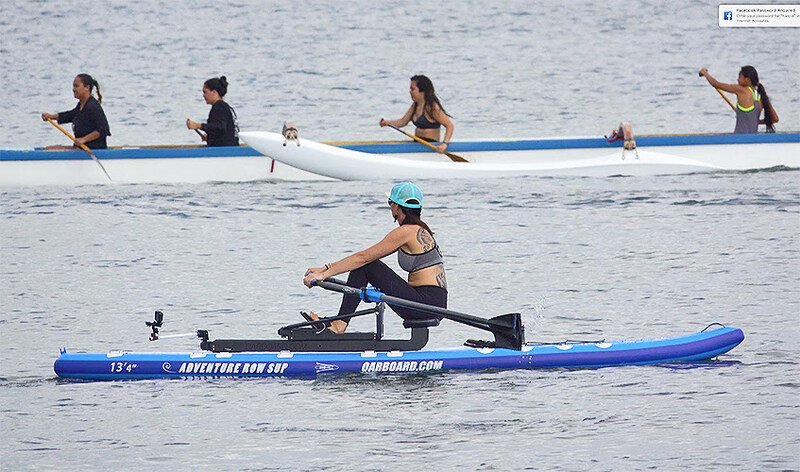 Over the holidays an Oar Board® media crew consisting of Diana Lesieur, Sara Thornber, Mea Hutchinson and Harold Aune packed up Oar Boards, oars, inflatable paddle boards, camera gear, luggage and hopped a flight to sunny Hawai’i for a winter photo shoot. With only five days of shooting time, every day was action-packed. 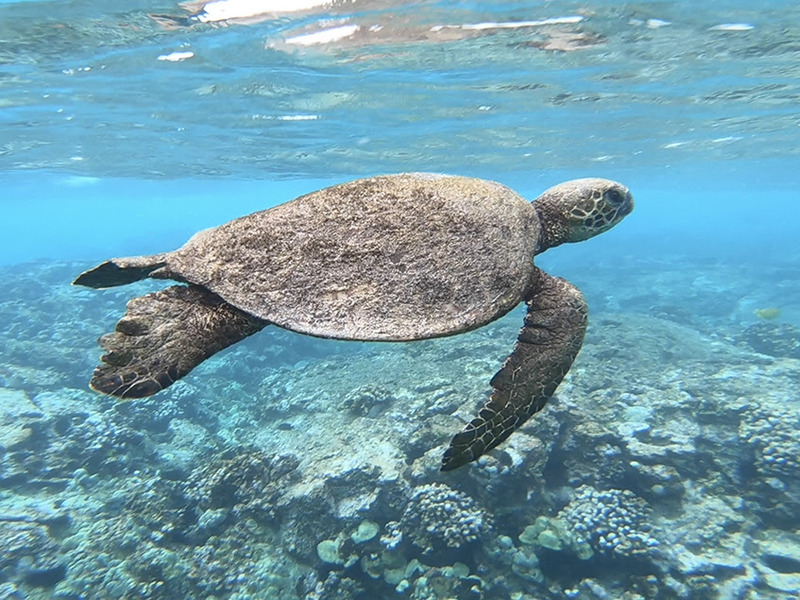 Our favourite beach at Hookena lived up to our expectations with clear water, a challenging shore break, and fish and turtles swimming on the reef. 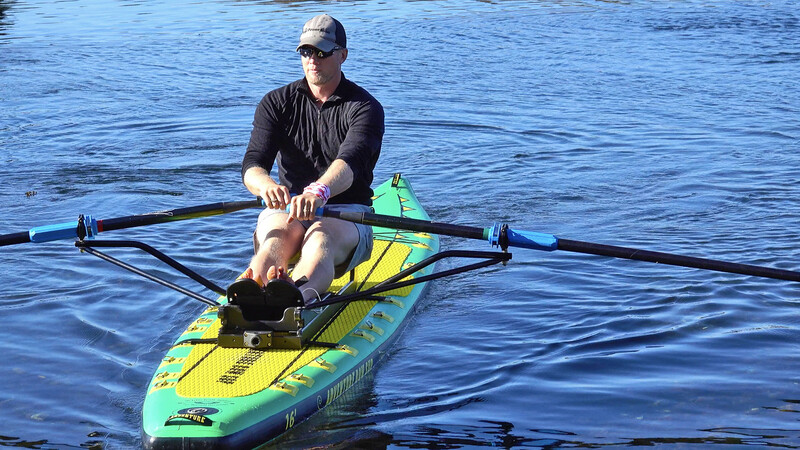 The second day we left our base in Kealakekua well before daylight and drove across the island to Hilo for an attempt to row Oar Boards at the Piihonua waterfalls. This is part of the ‘Row where no one has rowed before” program. 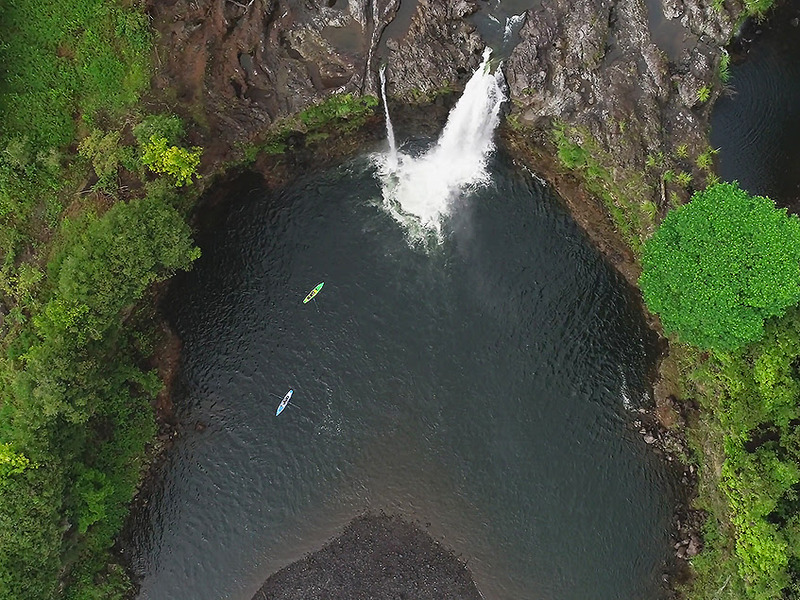 We met our drone operator David and his partner Abigail in Hilo then drove out to the falls. Diana and Sarah had to portage their gear a hundred meters or so along a muddy jungle path to the lunch spot close to the waterfall. From there it was a short row upstream to the falls. The girls rowed right up to the thundering water. It was so loud they had to shout to talk though only inches apart. 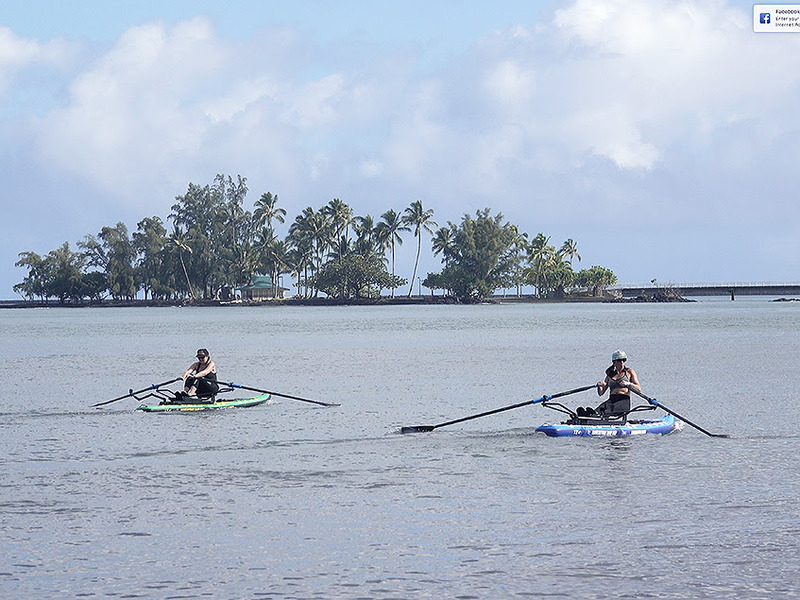 Next we headed to the Hilo Bay waterfront for an oar board cruise around the harbor. David shot some cool drone footage which will be available in the upcoming video feature. 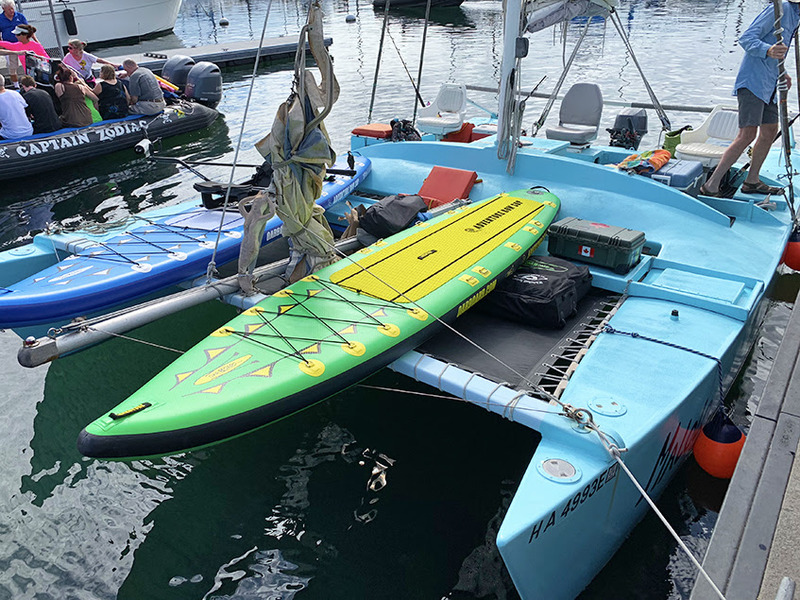 The next day found us out sailing off Kona on the beach cat ‘Maholo’ with Captain Wayne Docksteader and crew. 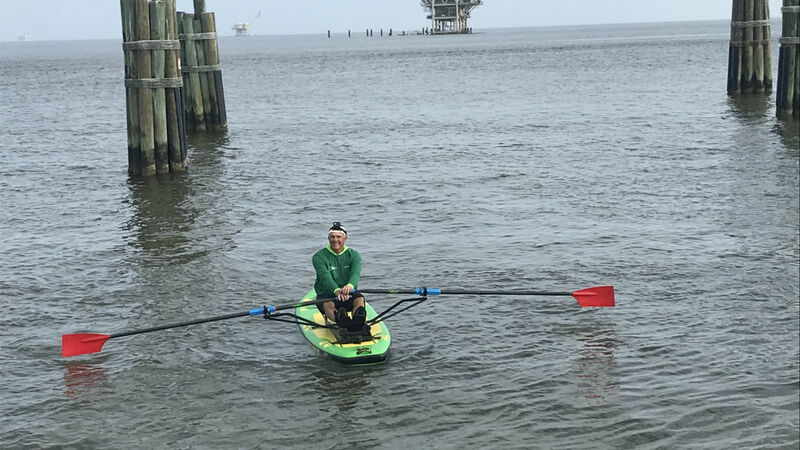 After a few hours of sailing we launched the Oar boards and Diana and Sarah did some offshore rowing in the ocean swells. Sailing back we were surrounded by a large pod of spinner dolphins. The crew leapt into the water to get a closer look which the dolphins must have liked as they came right over for a couple of minutes to say hello. Our final day found us back at Hookena. 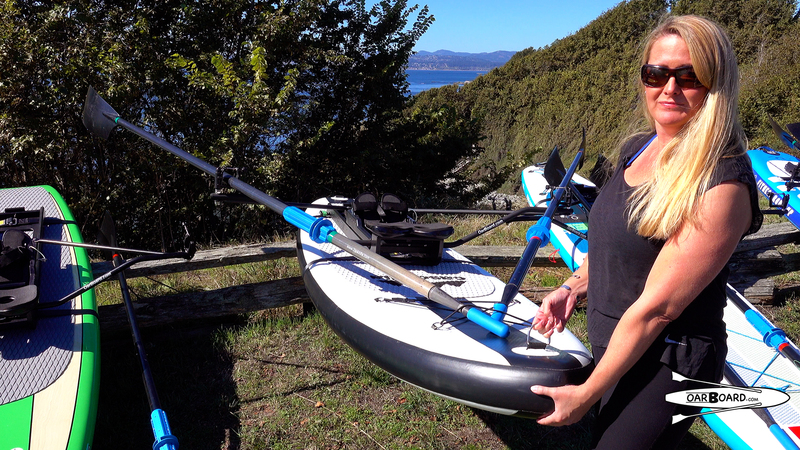 Diana and Sarah took out the Adventure Row 16 double, launching through some nasty shore break. Once past the beach waves we were able to shoot some nice footage of the girls cruising around the bay. Check out more of our photos, from this fantastic working vacation, here on Instagram.